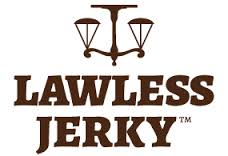 Lawless Jerky’s first Kickstarter project allowed VIP backers to name their own custom jerky flavor, for which Lawless Jerky would create recipes. Three bespoke flavors, Pho, Mango Habanero, and Paleo Pepper, were so outstanding that Lawless Jerky is heading back to Kickstarter with the goal of developing them for commercial sale. Initially, these flavors will be exclusive to Kickstarter backers; eventually, they will join Lawless Jerky’s “5-star Best” flavors, like Sweet Sriracha and Aloha Teriyaki. Be the first to try these new flavors; back Lawless Jerky here, and experience their original flavors here.